Since the sales of JAMB UTME/DE form began, I’ve been receiving a series of complaints from admission seekers. Lots of issues have come up that needed to be attended to. CBT centre made mistake in my email during UTME registration, what should I do about it? They picked Male for me instead of Female and vice versa, can I correct that? I made mistake in the spelling of (or misarranged) my names, how do I correct that? I picked wrong state and local government of origin, how can I correct it? Do I need to do corrections at a café or a CBT centre? They picked wrong subjects for my UTME, what should I do? If you’re in any of the situations above, you’re the right page brother. 1.Correcting Email address Wrongly Entered at CBT Centre? Some candidates gave their correct email addresses to the CBT centre but the operator or the attendant entered wrong spellings. For example a student of mine gave them adeolaxx88@gmail.com, the CBT centre entered adeolaxx880@gmail.com. Do you see the error? Omission of the last "0"
The bad news is that you or the CBT centre can’t correct this error. They will only tell you “sorry”. I have a suggestion for you though. Kindly create the wrong email they entered for you. This will let you claim the email for yourself. It can save you some headache in the future. The correct email is useful too but not for your JAMB again. Ensure you don’t forget your JAMB profile email and the JAMB profile password so that there won’t be need to face issues with the wrong email again. Whenever you need to log into your profile, you will continue to use the wrong email and the profile password. It will enter. So relax! It's only if you forget your JAMB profile password that you need email in the first place to reset the profile password. 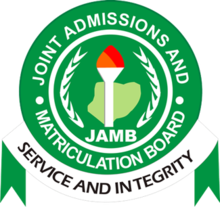 If you don’t forget you JAMB profile password, you won’t have any problem with your admission processes. If you should forget your password, that may be forcing you back to CBT centre any other admission activities henceforth. Don’t consider buying a new form. It will lead to double application since your registration has already being done. This kind of errors is as a result of carelessness on the part of a candidate not CBT centre. This is because you’re the one who use sent your names to 55019 to get profile or confirmation code in the first place. If you fall to this category but you have not already registered UTME before you noticed, I advise you buy another form. Since the UTME form is N4000, why not just use another email and another phone number to send your correct names? Then, use the new profile code to buy another form with no errors in the names. If you find out about wrong names after you have completed your registration, contact the nearest CBT for correction of names. This service may cost you around N3000. NOTE: Cyber cafes are not (for now) allowed to do change of names or correction of names for candidates. But they can do change of institutions/courses, gender (male/female), State or Local government or origin. CBT may not be available to handle errors like this when registration is hot and there are more candidates to attend for the main UTME registration. If after you see your score, it is not enough to pull or gain admission for the year, will the mistake in gender type be important again? You can save your money. If you don’t want to wait, you can still effect this change at a CBT centre at a price around N3,000. The price will still be the same if you wait till your result is out. NOTE that you can effect this change at a local cyber cafe too. This can be corrected any time after your JAMB result is released. Couples of days after JAMB result is officially released, the body will open what is called, “Change of Data Exercise” During this time; you can change anything in your JAMB details except the subject combination. I will address that below. During the exercise, you can do change of local government and state. Interestingly, you don’t have to go back to CBT centre to do the change of State and Local Government. A café around you is allowed to do that for you. Visit the nearest and professional café and seek their service. The price for change of State and local government is N2,500 excluding the Remita charge and café service charges. NOTE: Be sure you can get the local government identification or certificate of the local government you want to change to. You will need it during post UTME or after you've been offered admission. Needless to say, you need to combine the right subjects for your proposed course in the university, polytechnic or college of education before you can be offered admission. Candidates with wrong subject, even with 350 score may remain at home while a colleague with 150 and the right subjects find his way to the campus. In order to correct your subject combination error, return to any CBT centre before the time JAMB exams schedule slip will be ready for printing. This is why all candidates must study JAMB brochure or check admission eligibility to avoid this type of errors. Below are the corrections you can make at CBT Centers that Cyber Cafés can’t do. Corrections of you can make at a cyber café which CBT centre can do too. Note that both CBT centres and cafes can’t correct error in the spelling of email used during UTME registration. These are a few of issues that may arise when the registration for UTME is ongoing. However, if you must do change of institutions/courses, you must read this post instead. It is dedicated for change of institutions and courses both before admission is given or after. Share this post with others to help someone who may be finding things difficult to handle.